Design is not just about pleasing and benefitting the client with your work. Yes, you need to deliver what was agreed to under the contract. And yes, you should of course do the best work you can, and strive to make the client happy. Doing so comes with client-side obligations and check points (original work, deadlines, etc.). But that’s not all there is to it. A designer also has a duty to the world at large. Sometimes, meeting these obligations means pushing back against something the client requests. This can be hard! Especially for new designers, or new client relationships. But if the project brief is clear, simply tying your points to what the project is trying to accomplish can help smooth the way. Making sure the intended audience is well taken care of can only help your client in the end. What do you see as a designer’s duty to the larger public? 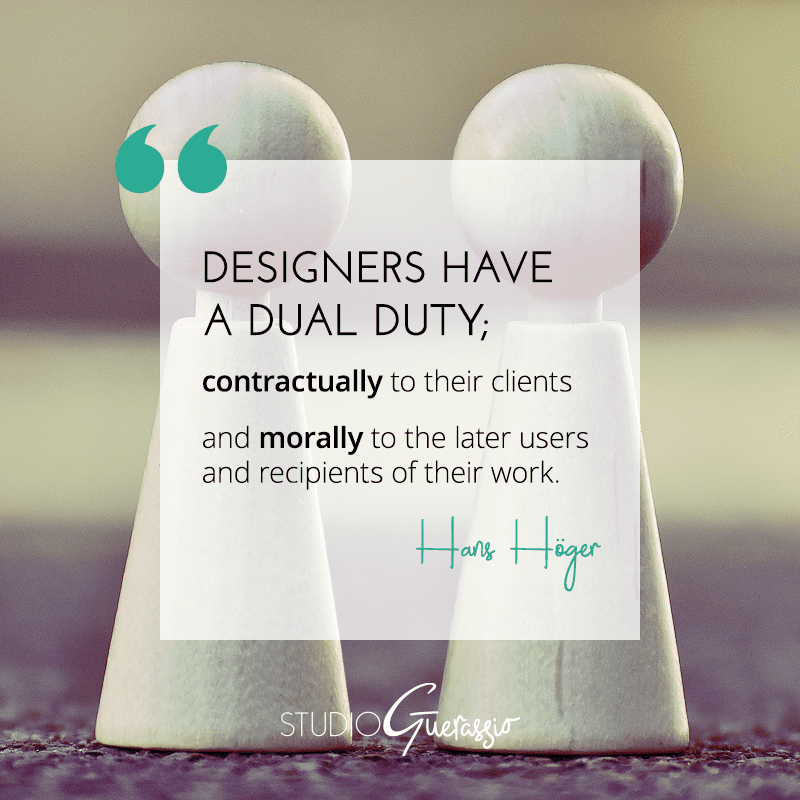 I do think a designer has a duty of care – after all, they’re the professional, not the client. And while clients sometimes think they should get exactly what they want, designers should provide what the client NEEDS. Exactly! I think some designers cave because they think if they push back against what the client says they want (even when it’s not a good idea), they fear for that paycheck or future ones. Which is not a healthy way to do business, or live.